Lamar Advertising has facilities spread from one side of the US to the other. 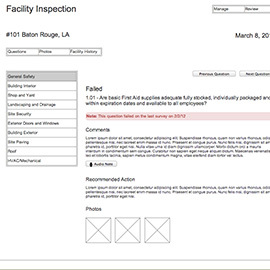 Without a mobile and automated solution, they were using clipboards, pens, and paper to inspect each facility. This manual process lead to rekeying info into spreadsheets when the inspection was complete, taking and managing facility pictures separate from the inspection, and difficulty maintaining the latest versions of the survey. 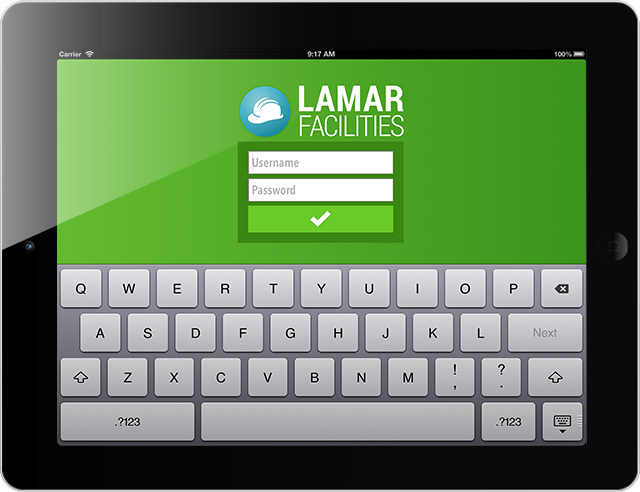 All of these business pains led Lamar Advertising to Envoc to create a flexible, mobile solution for their facility inspectors. Considering Lamar’s facility inspectors are dispersed throughout the US, building an application that was easy to use and train on was extremely important. Envoc focused carefully on User Experience design to meet that requirement. From there, we moved to applying the established Lamar brand to the application to create something both beautiful and functional. Lastly, we developed the application using the Xamarin platform to create a stable application that remains flexible for future improvements. Envoc created a totally mobile solution. 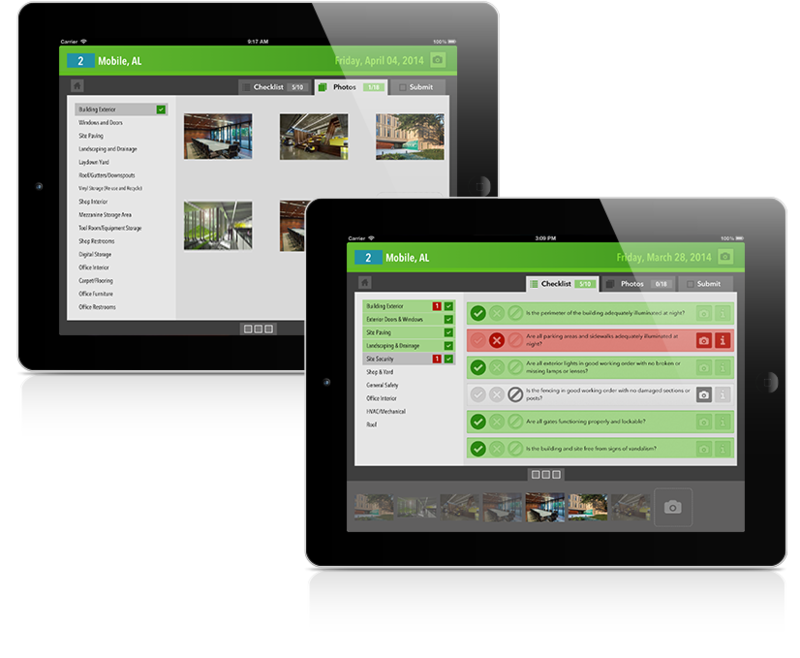 The iPad application allows inspectors to survey a facility, complete the inspection questions, take comprehensive facility photos, and submit the full survey and pictures back to the corporate office. 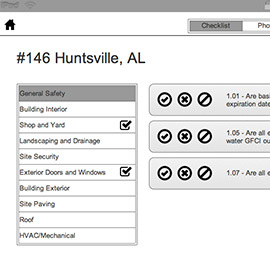 Additionally, inspectors can download a PDF version (photos included) of the inspection and send it to building managers and supervisors, all on their iPads. 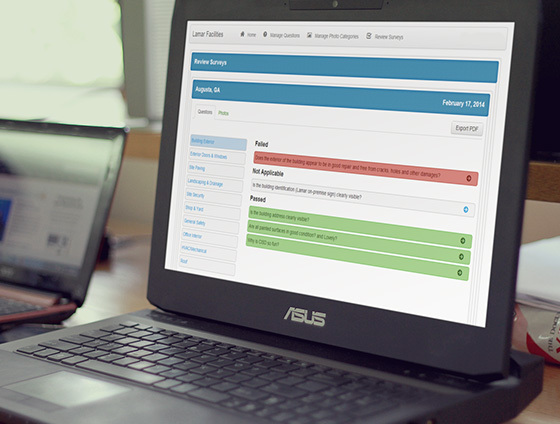 Lastly, we created an Admin Portal for managers to view all completed surveys and facility photos as well as manage all the questions featured on the inspection. ​The tool is very intuitive while also being flexible enough to use in different scenarios. The Envoc team was, as usual, enthusiastic and professional. They always did a good job responding to our needs with a sense of urgency.